Like everyone, “LO DO KHATAM KARO’ had caught my fancy as well a little while ago. I wondered how does this work, but naturally I was either too busy or too lazy to find out. 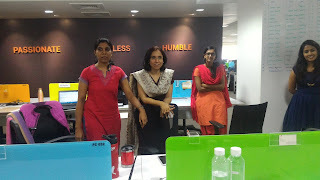 On a lazy Sunday, as I relaxed watching a movie, I got a surprise invitation visit Freecharge office on 26th of September to know what a virtual wallet looks like (which off course I know since I have been using it since 2012 and loving it as well) and how their office functions. 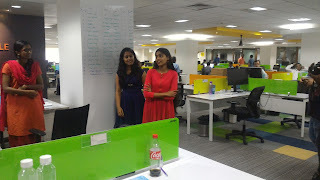 It was a working day, and I was a bit sceptical about skipping my work and going out there, but then like usual my curiosity took over and I couldn’t let the chance of finding out about Freecharge go by. 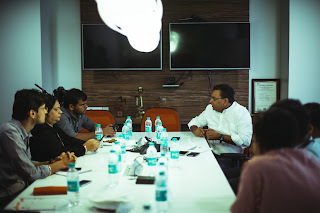 I knew it would be great to catch up with Freecharge at their own office, have an open discussion with the people running the show and see in real how they do things, why they do them and where do they do them. So finally I would know How ‘LO DO KHATAM KARO’ Works. Great! 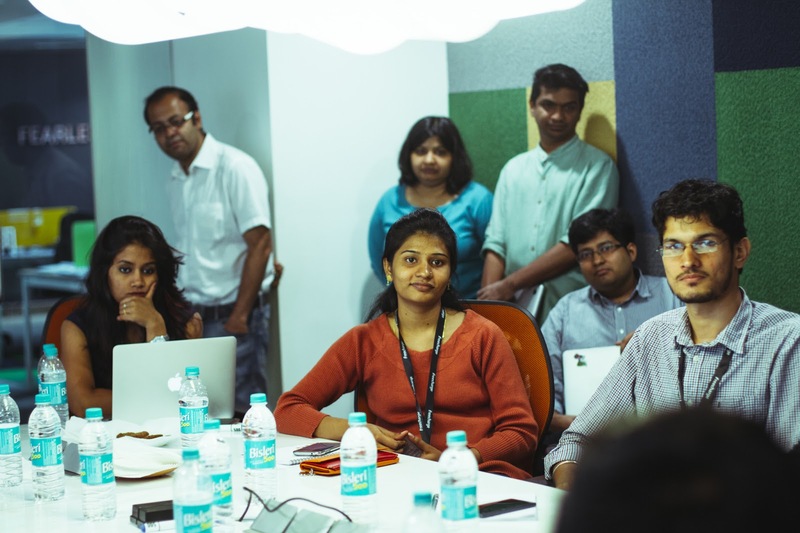 Though new in the market, launched in September 2015, I could see that Freecharge has seen a surge of growth in the last one year. No wonder the market for it is growing since FreeCharge allows customers to make prepaid, postpaid, DTH, metro recharge and utility bill payments for numerous service providers. 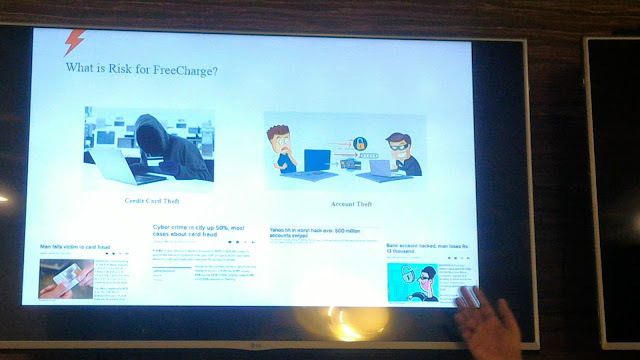 It was amazing to know that the traditional Indians who do not welcome change easily were already using Freecharge to pay across all major online platforms and offline stores like Shoppers Stop, McDonalds, Cinepolis, HomeStop, Crosswords, Hypercity and even for E-Rickshaws, the list is growing by the day. What looked highly impressive was the introduction of Chat-n-Pay service which is all about social payments which conveniently includes even the ever famous WhatsApp. It is an engaging and secure way for customers to effortlessly Chat-n-Pay to friends, family, and merchants in less than 5 seconds. No searching for that perfect change anymore. It also enables merchants, small or large to accept digital payments in less than 1 minute after registering on the FreeCharge App. 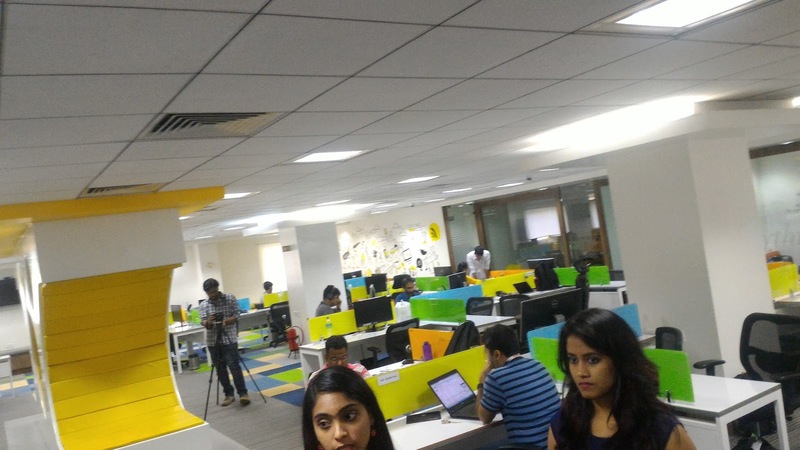 We met the various teams of Freecharge engaged and completely engrossed in their work, oblivious to the group of bloggers passing around the cool office. 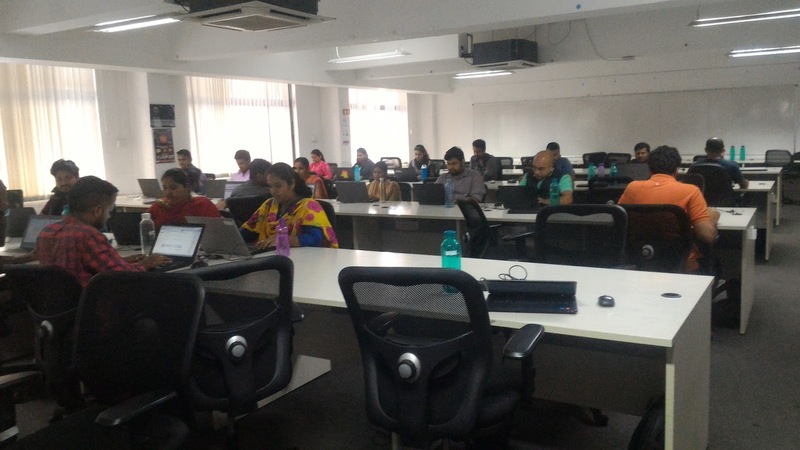 They were busy working on Automation, Analytics, Infrastructure and Security of the virtual wallet aimed to win over customers with the ease of usage and safe transactions. 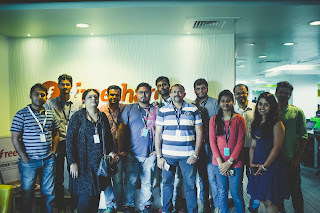 We had brief discussion with their CEO, Govind Rajan, who with a dash of humour explained about the product, the present functions, the future plans and why and how of Freecharge. 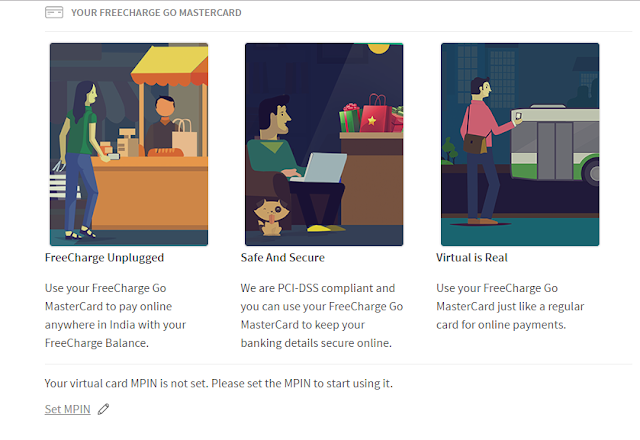 One thing I realized is that Freecharge is more concerned and worried about me losing money to phishing attacks or frauds then I am. LOL. When next time I will see my transaction declined by them, I will do better than grumbling, since I know now that they are trying to secure my money and do not want me to become a victim of fraud or phishing. Time just flew by with sessions by Ishan Vaish - Director Products, Varun Arora - Sr. Product Manager, CNB - AVP Infrastructure, Fareed Jawad - VP and Principal Product Architect, Ajay Bhutani - VP Technology which was followed by lunch and finally winding up with a visit to CS team. I never witnessed the barter system, but I have seen the days when my dad would bring the salary home. When he first received his salary in form of Cheque, it was considered a great breakthrough and I would visit the bank with him, whenever it was possible. Then came of the era of debit/credit cards or what we call plastic money. I was set up in a small town back then, and when I mentioned opting for debit card, people were very scared for the security of their money. 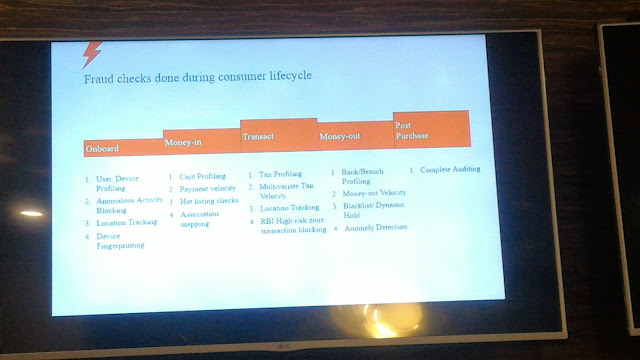 I think I was one of the first person from my surrounding to opt for it, and also for online payments. Like usual we feel this is the peak of ease transactions can reach, when we customers are pampered again with more easy payments. The latest to addition is virtual wallets, which makes payments just a click away. The sheer convenience of having money anywhere you want it without even carrying it on your person is tempting enough for anyone to go for it. 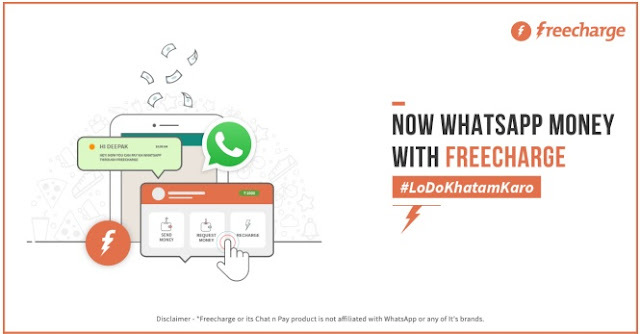 I checked the transactions on Freecharge and found that I could make prepaid mobile recharge, pay my postpaid and DTH bill within a minute. 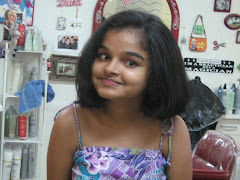 I usually remember the important payments due usually when I am playing games, I play games on my Android phone, windows laptop, iPad 2 and Samsung tab. When I find a payment app that works across all platform, it sure gets a pat on the back from my side. New changes are going to come, and you can look out for them. At present Freecharge gives its customers a safe, secure and easy to use virtual wallet which meet their needs perfectly. 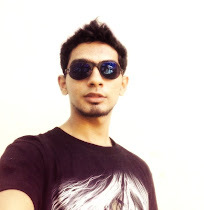 · After all, you know it's a smart thing to do! 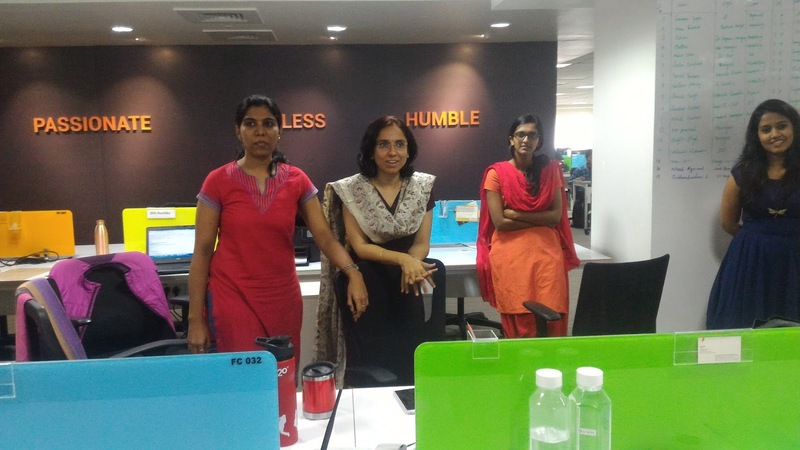 After lunch when we visited their customer care team, we realized they function on three levels. If the ‘Lo do khatham karo’ does flow smoothly, you can be ensured of help at your fingertips as well. So, will you go for ‘LO DO KHATAM KARO'?